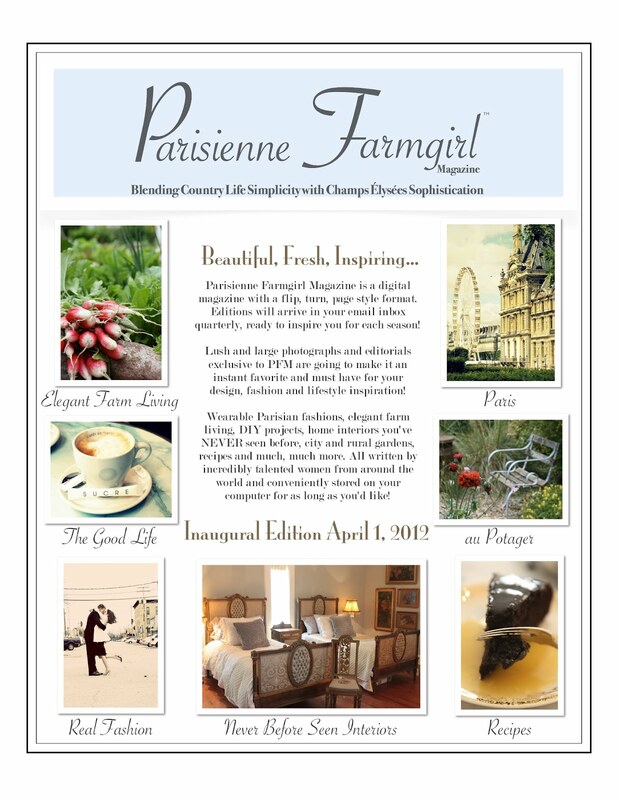 We have a winner of a years subscription to Parisienne Farmgirl Magazine! Michelle, of "She Looketh Well" wins the subscription! Michelle, I will e-mail you privately, and be sure to check your inbox on April 1 for the inaugural edition of the magazine! And for those that did not win, please consider just buying your own subscription....I know you will not be disappointed! a happy winner, to be sure!! Congratulations to Michelle! What a fabulous prize!